Each year brings a renewed holiday allowance and greater opportunities to explore more of this wonderful world. Have you thought about which holiday destination you’d like to try in 2019? Whether you’d love to tick a specific destination off the bucket list or simply head somewhere new, it is never too soon to start planning. To help, we have used Google Trends data to look back over the last few years to uncover which destinations have been growing in popularity and predicted the up and coming holiday trends for 2019. A record-breaking year for tourism in 2012 and the introduction of new air routes in 2013 was just the start for Croatia. It was the ‘Game of Thrones effect’ – particularly following Season 5 in 2015 – that saw holidaymakers flooding to Dubrovnik to see the beautiful city – and fictional capital – for themselves. This destination has become so popular that it intends to raise the tourist tax to alleviate the impact of the ever-growing industry. Don’t let this put you off though as it will only rise by 24p per night. 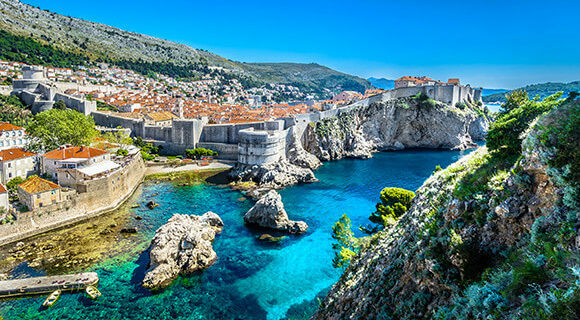 Travel Trend: Tourism will only continue to increase throughout 2019 – especially with the release of the 8th and final season of Game of Thrones, which is expected within the first half of the year. Interestingly, in 2018 Croatia was the most popular destination for holidaymakers in Edinburgh. It was second for people in Newcastle and Leeds and fourth in Manchester. Tourists are slowly starting to return to Egypt following a drop in numbers over the last seven years. This is partially due to the ever-growing popularity of the resort of Hurghada, renowned for its year-round high temperatures. According to the United Nations World Tourism Organization 2018 report, Egypt is the fastest growing tourist destination year-on-year. Figures from the Ministry of Tourism show that 5.9 million people visited Egypt between January and September this year – up from 3.8 million during the same period in 2016. This is expected to rise to 8 million by the end of the year. Hurghada has also seen a 73.72% increase in hotel occupancy rates in July according to the official statistics ran by the Red Sea Governorate. Travel Trend: Tourism is likely to increase next year as holidaymakers continue to return to this country. The Office for National Statistics has found that we are shunning the two-week holiday for shorter breaks. It is believed that this is due to the growth of budget airlines. The Association of British Travel Agents agrees, stating that shorter breaks have grown in popularity thanks to cheaper flights and greater flexibility. They have also seen a rise in city breaks off the back of the EU’s Europe-wide ‘open skies’ regulation. Psychologists have also claimed that those who take short breaks are happier than those who go on one long holiday. Their argument is that you are more likely to appreciate the time you are away and the escape from the office. Travel Trend: It doesn’t look like the ‘open-skies’ regulation will change following Brexit. So, city breaks are only likely to become more popular in 2019. When the city’s mayor Luigi Brugnaro was elected in 2015 he made it a priority to crack down on tourist numbers because of the sheer amount visiting – around 20 million a year – is pushing this city to breaking point. Day-trippers to this Italian city actually outnumber residents and overnight visitors. The number of residents living in Venice has decreased from just under 175,000 in 1951 to just shy of 55,000 in 2016, as tourists cause the cost of living to rise. Measures have been put in place as a result of mass tourism including ‘people-counters’ in tourist hotspots such as the historic bridges over the canals. The number of visitors to certain spots will be shared on the city’s website – Città di Venezia – and social media to encourage people to avoid these areas when they are busy. This is beneficial to the tourists who visit Venice because they will be able to see the sights without the crowds. Greece welcomed 30 million tourists last year – no European country has seen a bigger increase this decade. Around 2 million of those headed for Santorini – which exceeds anywhere else in the country. It has become so popular that hotels are staying open through winter. Last year 141 hotels prolonged the season – 106 more than in 2013. As a result of the huge number of holidaymakers wanting to see the whitewashed, blue-domed buildings with their own eyes, the number of cruise ship passengers disembarking has been capped. Travel Trend: Santorini’s tourism will peak this year as it continues to attract holidaymakers with its famous views, excellent weather and sun-soaked shores. This Greek island is a particularly popular holiday hotspot for tourists from Liverpool. It was also ranked in the top five places to visit by people in Leeds. The number of holidaymakers heading to Prague is on the rise after a slight dip last year. This drop comes after a steady rise year-on-year and appears to only be a blip. 2018 has been a year of celebrations for this city hotspot including events to commemorate 100 years of Czechoslovakia’s formation as well as restorations of many famous attractions. This has only helped to boost its popularity again. There are marketing campaigns to encourage visitors to explore outside of the centre and avoid overpopulating major attractions. The city does, however, still encourage it as it is a huge boost to public finances. 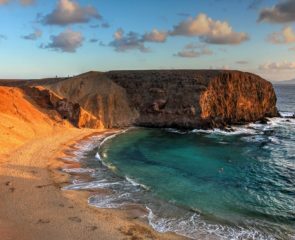 The number of tourists travelling to Portugal rose by 12% in 2017 to more than 12 million. This number may have something to do with the financial implications of Brexit and the fact it is one of the most affordable destinations. The Post Office Holiday Money Report found that Portugal is the second best value destination in Europe. So, why Lisbon? Well, it’s no surprise, when city breaks are on the rise and this is the sunniest place in the country, with an average of nearly 3,000 hours of sunshine a year. At the Telegraph Travel Awards last year Lisbon rose 10 places to 16th in the World’s Best Cities category. Travel Trends: When the UK formally leaves the EU even more British holidaymakers will head to Lisbon in search of an affordable European holiday. While the pound may become unstable again, it is the ninth cheapest city break in Europe according to the Post Office. They say romance is dead, well that might just be true. It appears more people, particularly women, are choosing to holiday alone rather than with their significant other. It is believed that this is partly due to the increased access to Wi-Fi and the growth of smartphones – making it both easier to travel and stay in touch with loved ones back at home. 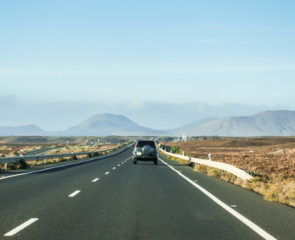 Travel Trend: We will see more people heading abroad alone next year as technology continues to evolve, making it even easier to travel and connect with others. France is among a handful of countries that has seen a decline in tourism since 1996. While budget airlines have been beneficial to many destinations it may be the reason fewer Brits were holidaying in France. The ONS found that the number of people travelling by sea has decreased by 33% since 1996. So, rather than driving to France via the ferry, holidaymakers have been booking cheaper flights slightly further afield. However, since 2016 France has seen a resurgence in visitor numbers which is primarily thanks to the capital. Paris saw a record number of tourists in 2017 – welcoming more than 40 million people. Travel Trend: There is a chance that tourism will dip again in 2019, especially if Brits look to destinations outside of Europe following Brexit. However, after Paris was named as the number one destination in the world during the 2018 TripAdvisor Travellers’ Choice Awards, it is unlikely. Much like Croatia, Iceland has also benefitted from Game of Thrones – or what has been dubbed ‘set-jetting’ – tourism that is motivated by TV and film. The number of tourists visiting this country last year surpassed 2 million for the first time ever – which is six times the population. This has been increasing since 2010 when volcano Eyjafjallajökull erupted. It is believed that the images shown on TV at the time encouraged people to go to see the beautiful scenery with their own eyes. The country has, however, seen a steady decrease since the last season of Game of Thrones came to an end. Travel Trend: Again, the release of Game of Thrones in the early part of the year, will encourage people to go ‘set-jetting’ again. Residents of Newcastle and Edinburgh are particular fans, it ranked fourth and fifth respectively for most popular destination by people in these cities. Over the last few years tourism has increased in this Eastern European country as people look for alternative destinations to visit. In 2012 the country welcomed 7% more Britons in the first three months than in the same period the previous year. At the same time they used royal links to Dracula to attract British tourists. It is believed that the Royal Family – specifically Queen Mary – is linked to Vlad III, Prince of Walachia or Vlad the Impaler, who Dracula is based on. This strategy appears to have worked. Tourists are now heading there to see Bran Castle also known as Dracula Castle and the ‘Seven Natural Wonders of Romania’. Travel Trend: Romania is expected to be the next Berlin in 2020. It has one of Europe’s fastest-growing economies and has been dubbed the Silicon Valley of Transylvanian. This means there will be a significant increase in the numbers heading there throughout 2019.